RANCHO PALOS VERDES, Calif. /California Newswire/ — In today's fast-paced world of constant communication, deadlines and the ever-present to-do list, individuals may find it easy to lose sight of their personal aspirations and dreams. "Before I Die" walls, a new interactive art exhibit new interactive art exhibit with installations cropping up around the world – including one now being planned by Green Hills Memorial Park in Rancho Palos Verdes the weekend of October 16 – is providing a much-needed opportunity to pause for reflection. Known as the "Before I Die" walls, this project is providing the catalyst for individuals to consider their life's goals and then motivating them to plan and follow through on those personal dreams. "It gets you to own what you want to get out of life," said Chris Wendel, sales manager with Green Hills Memorial Park. "Once you write it down, you take more ownership and have more accountability." Before I Die has become a global art phenomenon as it has invited people to reflect on their lives and share their personal aspirations in public space. This project was started by Candy Chang using an abandoned house in New Orleans as an interactive motivational chalkboard of sorts after she lost someone she loved. Today, more than 1,000 "Before I Die" walls have been created in more than 70 countries, reimagining public spaces and prompting passersby to ponder their life's goals. Wendel and colleague Tom Frew were introduced to the concept of this thought-provoking art exhibit on a business trip to Houston. The duo was intrigued by the concept that encourages people to share and consider what want to achieve in life. Already, Green Hills' advanced planning guide included information on creating a bucket list as a way to cope with the loss of a loved one. Therefore, the idea of the memorial park's developing its own "Before I Die" art installation seemed a natural fit. "We are in a unique position in our industry to see folks who lose someone begin to contemplate their own lives and what they want to achieve," noted Wendel, who added that the wall not only encourages such individuals to consider their life's goals, but to own the planning of them as well. According to Wendel and to Jennifer Frew, Community Events Coordinator at Green Hills Memorial Park, offering the interactive art exhibit dovetails well with the park's commitment to the local community and its residents. "We are not just a cemetery," said Jennifer Frew. "We are a beautiful memorial park, and our goal is to provide opportunities for continuing to create family memories. "We are also about celebrating life," added Wendel. He added that, with its unique spirit and community event offerings, Green Hills encourages people to become more familiar with its setting and to feel more comfortable within the park. Already, the park is home to a popular fall Harvest Festival that draws thousands of local residents as well as events such as summer's "Shakespeare in the Park." 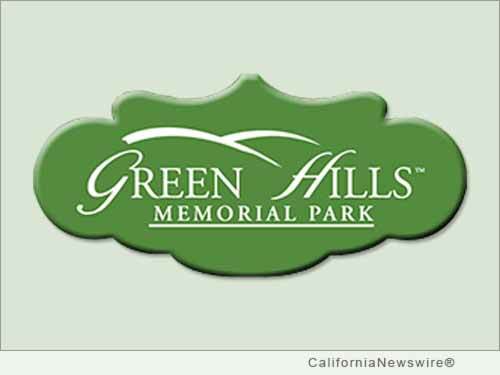 Therefore, Green Hills Memorial Park is both a permanent resting place that is accessible to friends and family members as well as a beautiful setting for special celebrations and community events. And, celebrating life is what the "Before I Die" exhibit will be all about. The special installation at Green Hills Memorial Park will be unique from other interactive versions of the "Before I Die" exhibits. In other settings and in other cities, the installation has taken a variety of forms: from the reimagining of a derelict building, to a moveable wall in several different locations, including a college campus. Planned to be set near the flowing stream at the park's entrance and near to parking, the Green Hills' Memorial Park's "Before I Die" exhibit will take more of a column format. The columns will be eight feet tall but hinged on the corners to allow them to be folded out to form a wall in the future as display plans allow. Such a wall could be the final format of the park's exhibit if a more permanent setting can be found for the exhibit once the initial run closes. The "Before I Die" installation at Green Hills is set to open October 16, 2015, just a few days after the park's popular annual Harvest Festival where the concept will be introduced. The installation's opening on that Friday is being planned to coincide with the offering of free flu shots as well. Initially, there will be anywhere from three to five columns where local residents are welcome to share their lives' aspirations. The interactive columns will be set up to invite people to share for at least the weekend following its October 16 opening. "We believe it will get people to focus on what it is they hope to accomplish in life," said Frew. Make plans today to stop by the park the weekend of October 16 to check out the Before I Die exhibit and consider your own life's goals.